Dave Heller worked tirelessly to ensure that every detail made us very happy. He submitted modifications based on our instructions that made the finished piece look brilliant. 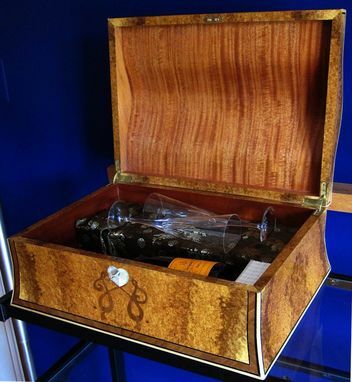 The investment of his expertise and time resulted in a fabulous, one of a kind piece. This wedding box contains a bottle of champagne, two toasting flutes, and cards that are handed out at the wedding. Guests write comments for the bride and groom to read on their first anniversary, while drinking the champagne. It could be used to hold any treasured memento's. 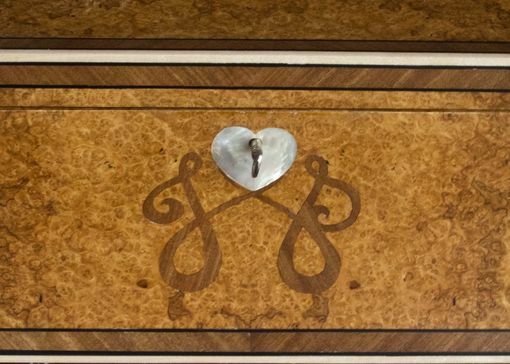 The bride's and groom's initial are inlaid into the front. 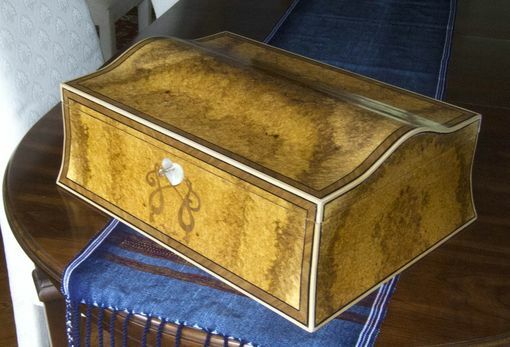 This box is made from amboyna burl and mahogany, and is curved in profile and on the top. The escutcheon for the lock is made from mother of pearl. This type of box could be made with rectangular sides, or with a domed lid. 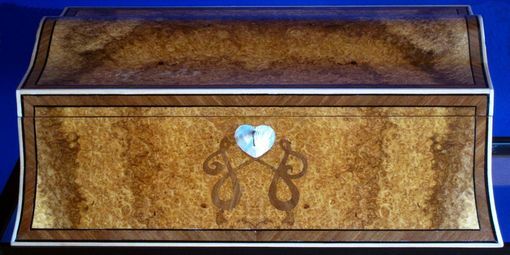 The veneer pattern of a 4 way match on the top wrapping down the front and back gives the box it's strong symmetrical feel, and the burl a sense of luxury. Every maker has a story. Be a part of Heller And Heller Custom Furniture's story by placing an order, leaving a review, and seeing your review appear here.